One of the development of safety features in passenger cars is run flat tires (RFT). By using a run flat tire, the car no longer has to carry a spare tire. Therefore spare tire space can be used for other things. The baggage feels bigger and the rear seat can be folded. Flat tire tires are resistant car tires that are used to drive even though they are flat or there is no pressure at all. The flat tire run uses a special rim called EH2 (extended hump) that acts like a bead lock to keep the tire in position. The goal is that the driver can still take the car safely to the nearest workshop for repair. However, the distance that the run flat tire can take is limited to only 80 km and the maximum speed is 80 km / hour. But both of these restrictions can differ between producers of run flat tires. The most common type of run flat tire is a tire that is reinforced on the sidewall so that the shape of the tire can last. Another type of run flat tire is using an inner ring, either made of rubber or other supporting material. This ring is coiled right on the inner surface of the rim and can support the weight of the car and the load even though the tire is without pressure. The driver does not need to change the tire when the tire is flat. This condition avoids the car stopping on the shoulder of the road that has the potential to be hit, or stopped at a location that is considered vulnerable. Tire flat run is safer to use to drive than ordinary tires. The flat tire run is able to maintain its shape and control the car even better even though the tire suddenly loses pressure or deflated. So that it reduces the risk of accidents. No need to carry spare tires, jacks and tire locks. So the car has extra space for storing goods or other things. 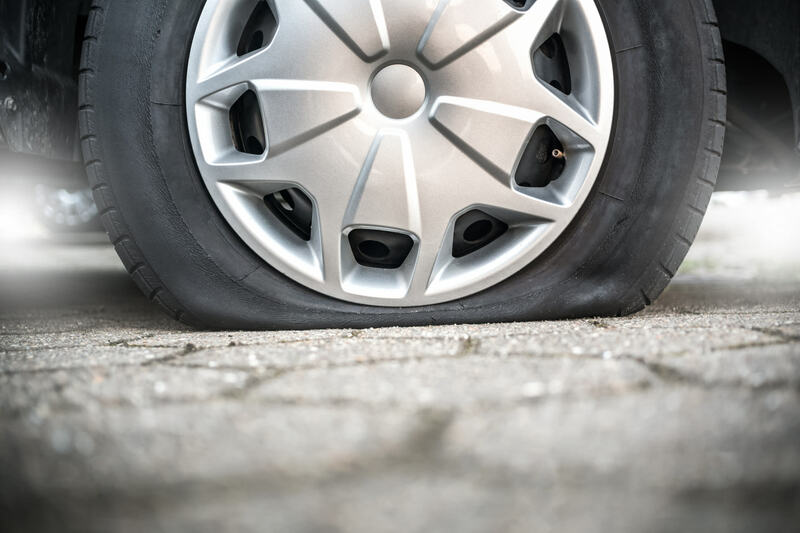 Flat tire runs make car slamming harder, especially shocks when crossing bumpy roads. The farther the run flat tires are used in deflated conditions, the more difficult it is to repair. Therefore, it is recommended to be corrected immediately. Note: Replacing tires is better than repairing them, even though they cost 20-30% more than regular tires.